The walk through this, the lower canyon, took about an hour, and at every other step it begs you to take another photo. I do have to say, though, that my beloved iPhone 4 did not do justice to this place, and I had to edit these images quite a bit to be happy enough with them to post, and I’m only barely happy enough. With a better camera it would be hard to take a bad shot there. My wife was using a Canon 16.2 megapixel point-and-shoot and the difference in the quality between the two is significant. Cool shots for an iPhone! they are very abstracted and interesting. I’m SO overdue for a visit to your blog. Hope to check in there soon. I find myself thinking how much of it’s real, and how much is “memorex” or in this case photoshop. I’d be curious to see the original images. Thanks for sharing. I’ve meant to make it there for years myself. I don’t blame you for thinking that, but all the editing I did was intended to transform inadequate photos that failed to capture what this place actually looked like into images that could come close to the stunning reality of the place. Interestingly, the blue color is a total mystery to me, as well as to other more expert photographers I met there. 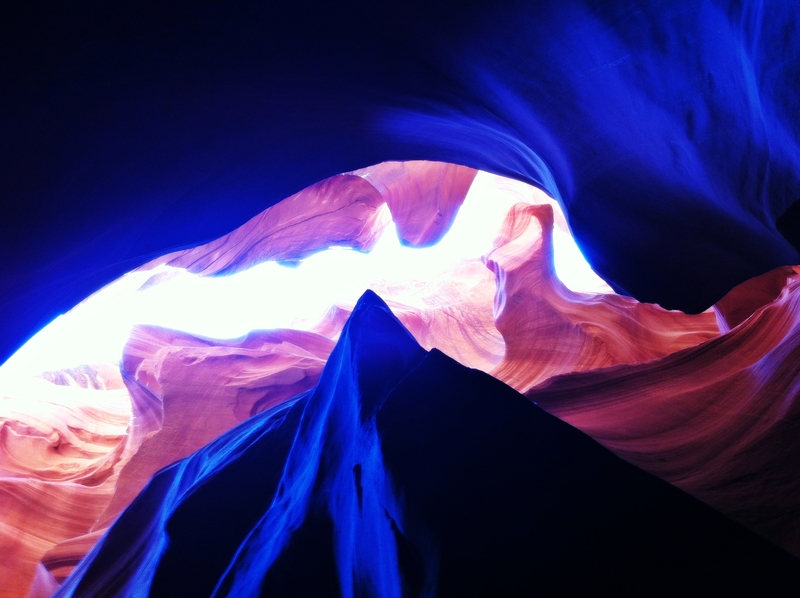 No, there’s no blue in the sandstone, but somehow with the backlighting this just happens. I was pondering the blue color as well. 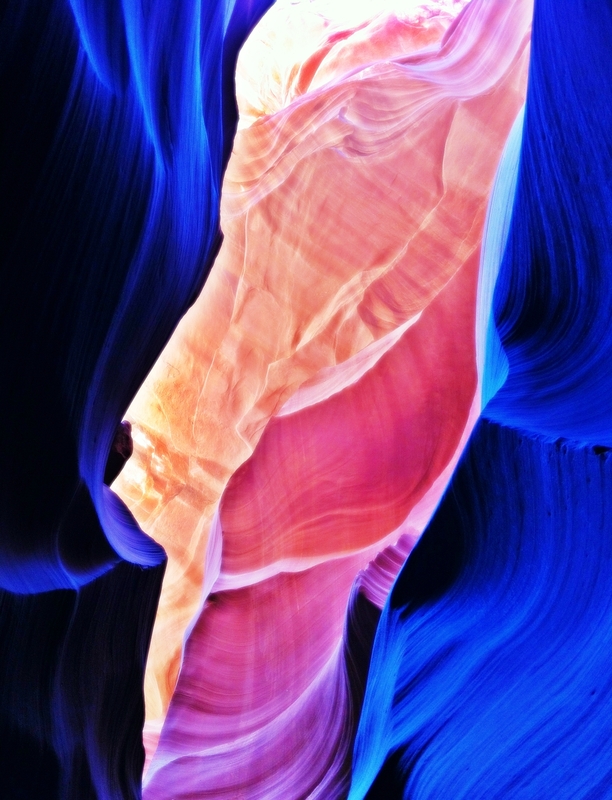 I wonder how your wifes camera will capture the color differentials in the canyon. Thank you for the pics. Oh and thank you for the blog on Bellingham, I’m new to the area and located your blog accidentally. I’m still looking for a good jewish deli myself. 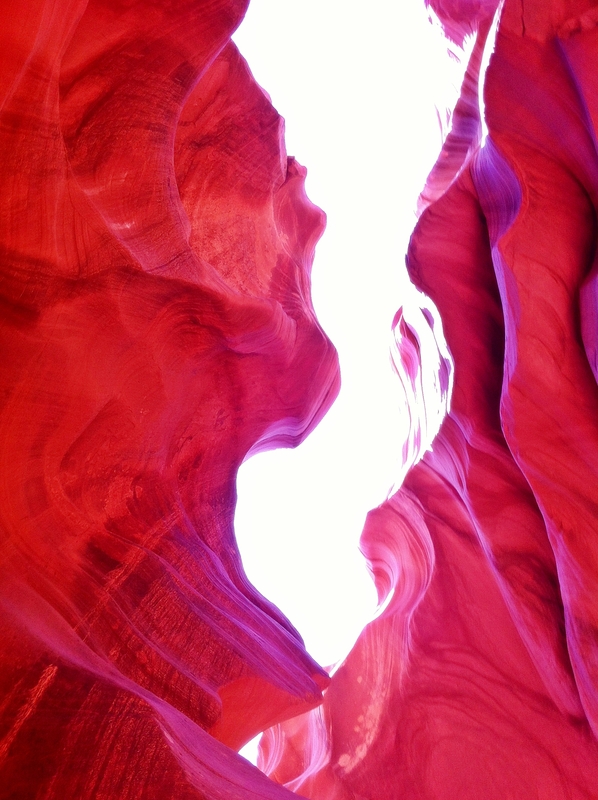 Wow, you are the Georgia O’Keeffe of canyon photos! Manipulated or not they are beautiful! 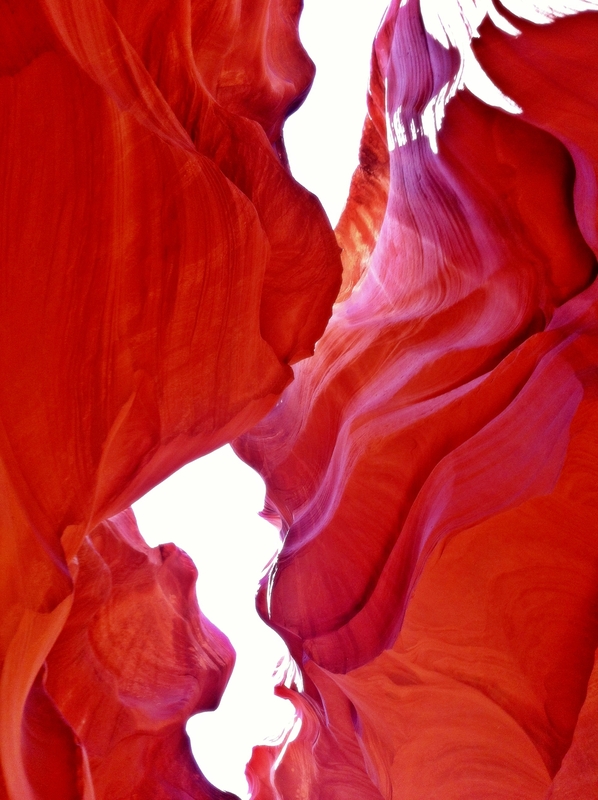 Thanks, my friend, but if you search Google Images for Antelope Canyon, you’ll see that far better photographers than I deserve the Georgia O’Keeffe recognition. We certainly thought of O’Keeffe when we were there, though. Impossible not to. Probably my biggest disappointment about these images, though I think they work pretty well the way they are, is that the blue of the sky isn’t present. Again, if I had a better camera and the skills to use it, I’m sure it would be possible, but I couldn’t make it happen. I think it’s fairly obvious that these images, especially #s 1, 3, and 4, would be even more stunning if the sky was as blue as it was when I looked up from inside the canyon. Very kind of you to say, Helen. Thanks! Funny that you, of all people, should say that, because it’s great photographers like you and Karen (drawandshoot, see above) who always humble me with your work and make me wish I had the aptitude to learn to use a good DSLR. Helen, you ARE a great photographer! As for the DSLR, I should say that it’s not just my fear of learning how to use it, it’s the prospect of carrying it around with me. Even though the pictures were not what you might have wanted, I really feel that they gave me a sense of the magic you were experiencing.